Matheson Meeting Overview, Nice Turnout! The venue, unique views and riding! 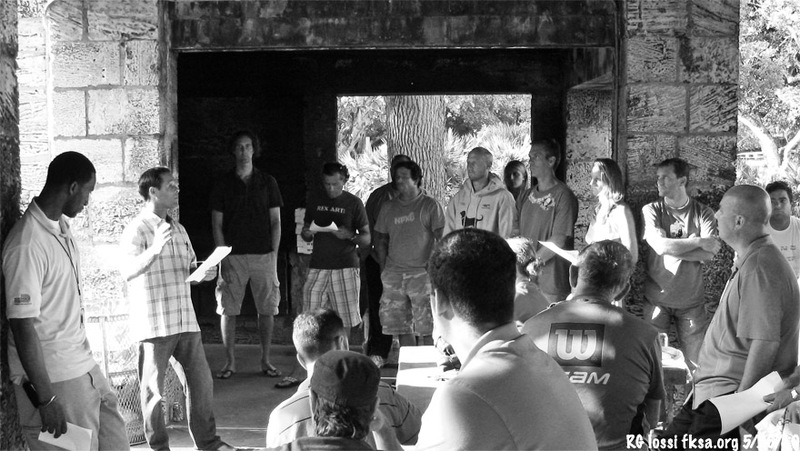 There was a great turnout of over 40 kiters to the kickoff meeting on May 26, 2010. 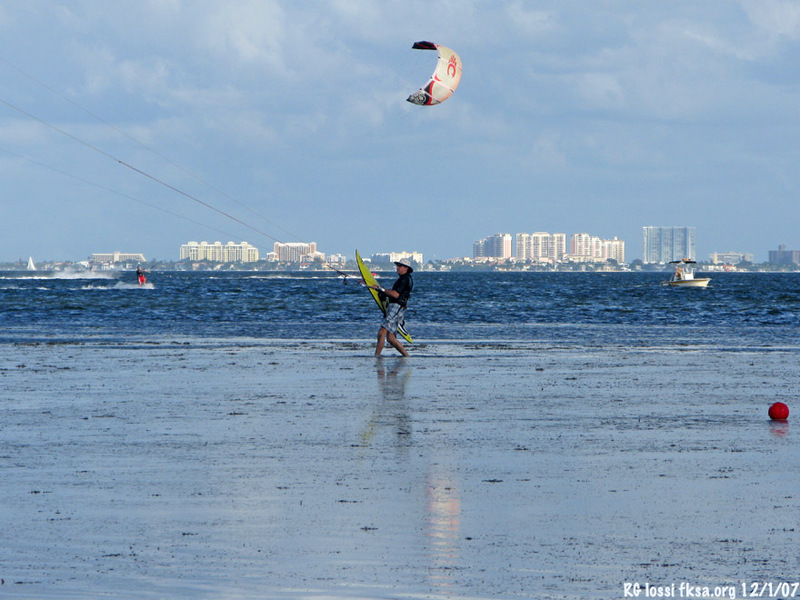 Long time riders, new folks, a wide spectrum of kiters came out to participate in the meeting. They were concerned and enthusiastic about working to secure access at this great launch. Full house, thanks for making the meeting! A 360 view of Matheson on a riding day. Kent Marinkovic (right) presents the concept of the new riding area procedures and answers questions. 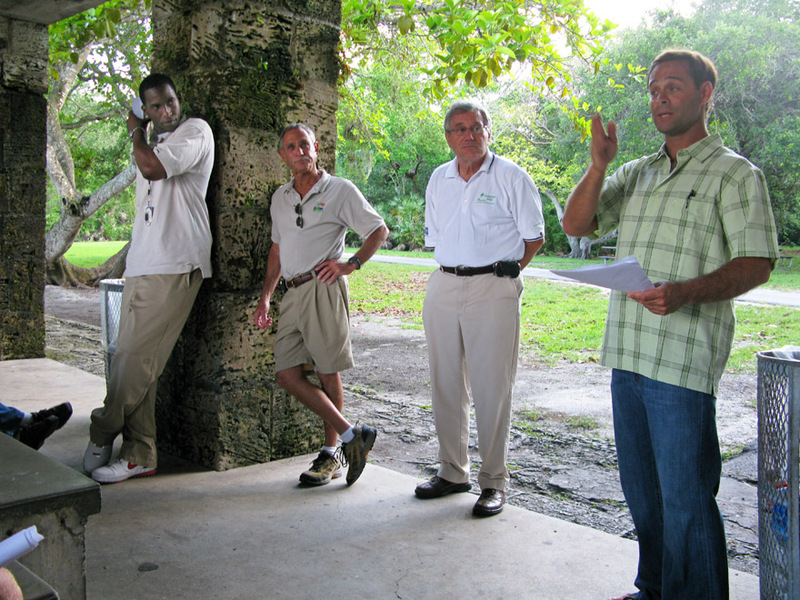 To the left of Kent is Alan Weitzel, Miami-Dade Parks & Recreation, Coastal Parks Director, to the left of Mr. Weitzel is Jeff West, Service Area Manager and to the left of Mr. West, Deallo Johnson the new manager of Matheson Park. We were lucky to have several key managers present from Miami-Dade Parks & Recreation shown above. Alan Weitzel opened the meeting. He has been working in in the Parks Department for over three decades and has seen several water sports/activities come online in that time. Several presented management and potential safety issues which The Department made a priority to resolve. Mr. Weitzel said he liked kiting, the spectacle it brought to the waters but was concerned that it be conducted in a way that was safe both for the participants and bystanders. 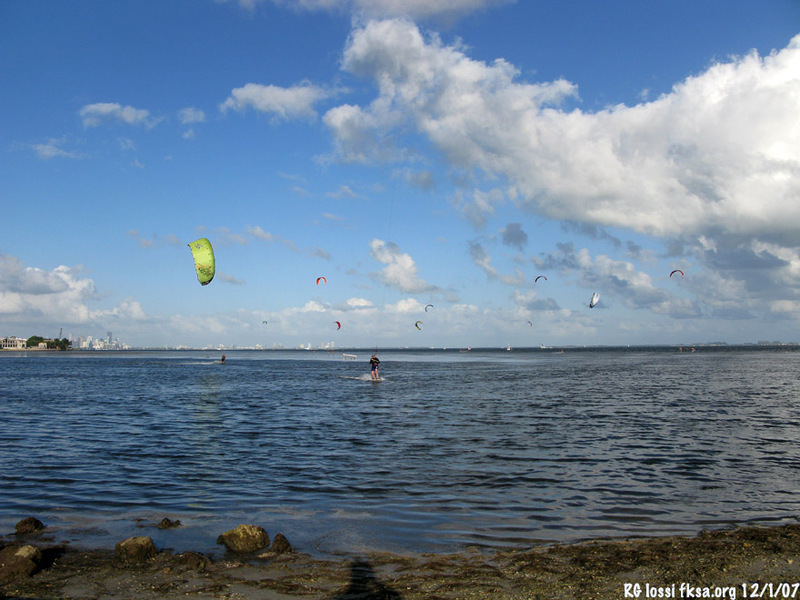 Crowding and incidents had raised concerns about the possible need to ban kiting at Matheson. 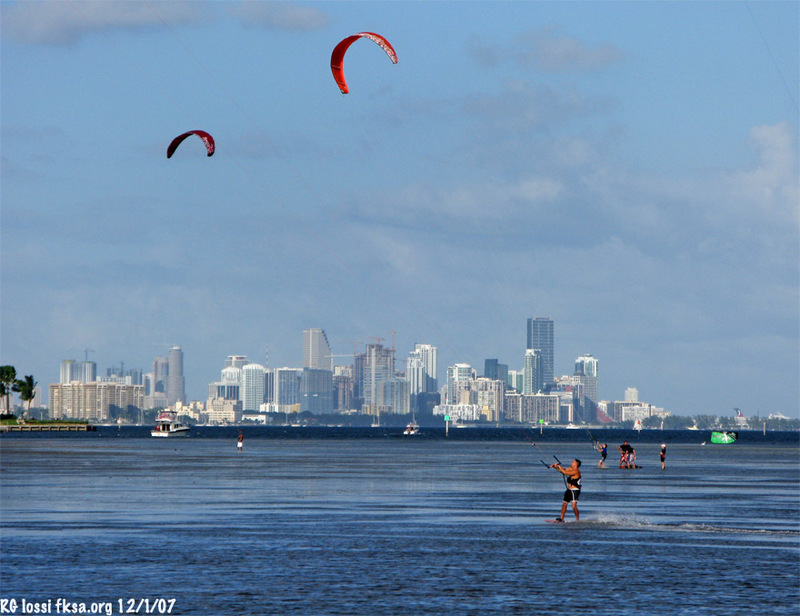 The concession has been conceived to improve the safety and sustainability of kiting at this venue by Adventure Sports Miami, (ASM). David West followed with insightful comments about kiting and other water activities. He has taken to the time learn about our sport and potential issues. Mr. West has also been with the Parks Department for over two decades. He would also like to see kiting continue here. He emphasized it will take our collective efforts to make keep kiting at Matheson and thriving. I second that! I understand Deallo Johnson recently took over as manager at Matheson. Mr. Johnson may have seen kiting there for the first time around last Saturday. As some may know, last Saturday showcased how kiting should not be practiced. Excessively crowded with some incidents, folks riding too near shore, etc.. I think his reaction was something like "what are these people doing here???" We need to change our approach to keep us kiting at Matheson to where we are encouraged to be here. Fortunately, Kent, Todd, Carlos, Josh, Bryan and lots of others at ASM with outside input from several other folks have come up with a concept focused on doing just that. 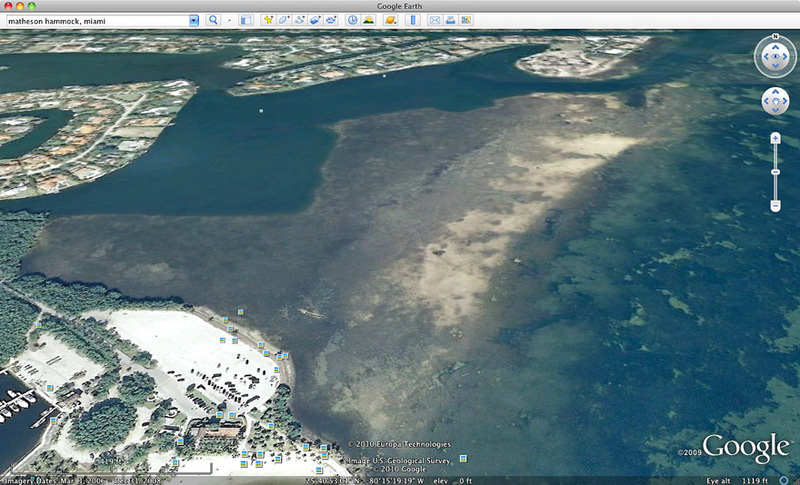 It addresses specific problem areas over the years while trying to avoid unduly impacting kiting. It just makes things more realistic and sustainable. In densely populated Miami-Dade County, adding in all the visitors and many years of access pressures we need to make this a priority. So, let's work to make kiting a positive in Mr. Johnson's transition here. Kent covered a lot of ground about the concept, rules, amenities, certification requirements, certification exams, compression station, custom 16 passenger beamy kite taxi boat to the flats, rescue watercraft for Matheson, bus and a great deal more. ASM doesn't plan to charge ANY access fees for kiting here. Once you've provided acceptable proof of certification, you're good to put on your streamer and go riding. There is a designated area for instruction, an exclusion zone for flying kites, minimum buffer distance from shore and other realistic considerations to better manage kiting here. You may want to consider buying an annual "Ticket To Ride" card to take advantage of a number of amenities and discounts. Kent even mentioned they were thinking about installing a wind meter station and live cam! He stated that for discussions regarding future commercial watersports activities at Matheson, please schedule an appointment with Adventure Sports Miami by emailing info@adventuresportsmiami.com. Instructors wishing to teach in the park are also invited to apply. 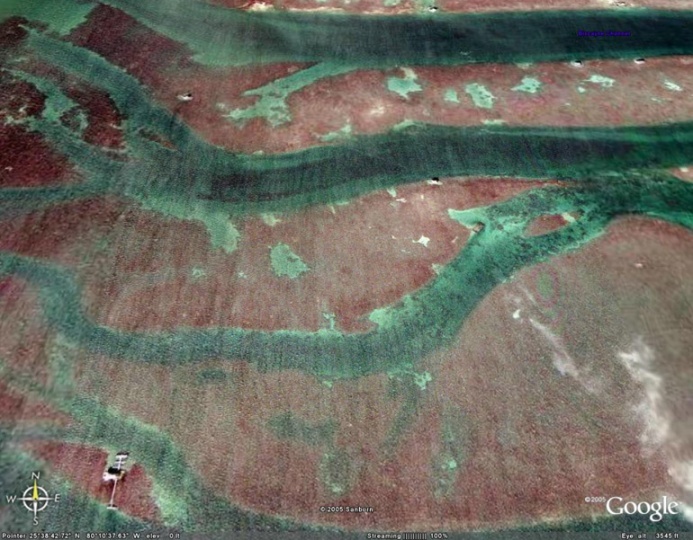 Click here for an overview of the kiteboarding concession. There is a lot to be offered here. Stiltsville and the Miami Flats are close by and even more accessible with the kiter sea taxi operation. Looks a bit crowded at Mathenson or you just want to treat yourself with a quick trip to excellent riding conditions here, grab a seat on the sea taxi and head out. "Ticket To Ride" holders get taxi services at half price! I tossed out some comments as well. Mainly about how riding as we have been for a long time will see us shut out of Matheson. We need to change which isn't always easy or welcome. Losing a launch like Matheson would be a lot less welcome. We're going to need everyone's help to work through the change to keep us kiting here well into the future. As an aside, everyone knows what a supercell squall cloud looks like? 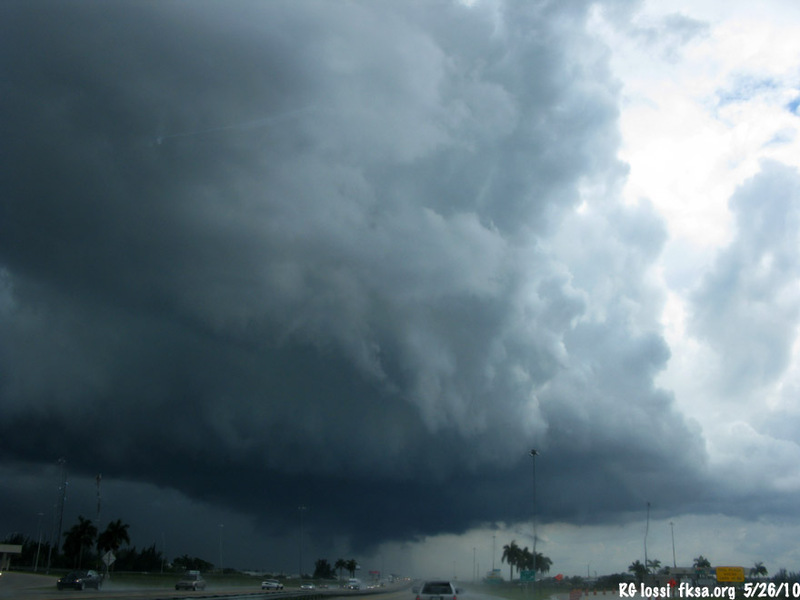 Here's one of several that were over SW Broward and NW Miami-Dade driving down to the meeting from Palm Beach County. Hint to self, don't kite with these things around. The weather cleared before I made Matheson with blue skys for the meeting. This is what it is all about. A great riding spot worth working to protect our access to. Thousands of hours of fun times here. We need to change a few things in our approach to keep the great times going decades into the future. 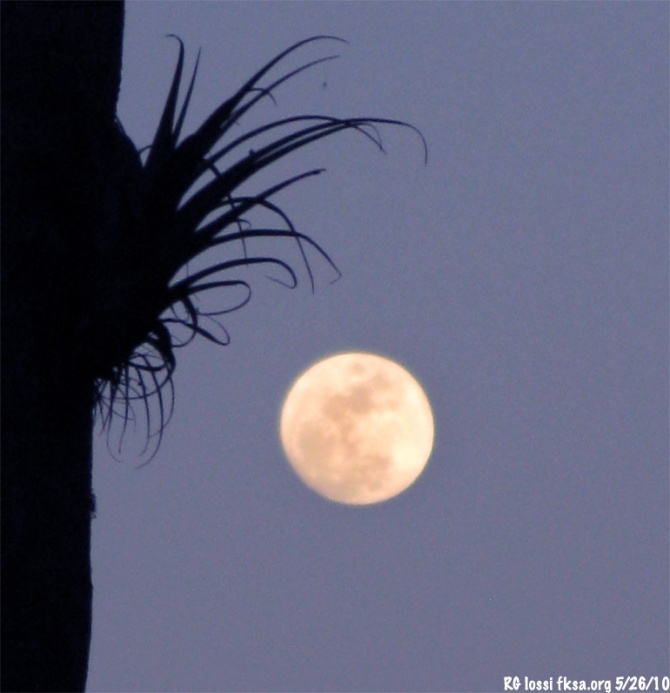 Moonrise over Matheson, going to be a good night and coming wind season here with your help! In closing, Matheson has some special issues that should be readily addressed through this concept. Not all areas have the launch crowding, 2.25 million residents, vast quantities of visitors, very long term kiting presence in quantity and still more issues that apply to this area. As such these measures shouldn't be needed in less congested, contested areas. Don't have these issues, great, keep working to keep it that way. 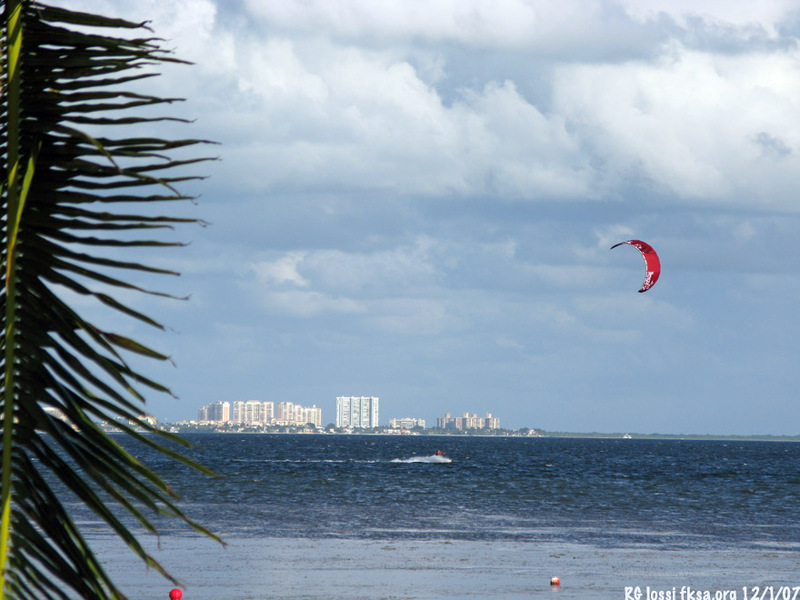 Thanks again to ASM for stepping up with a solution backed by a substantial investment of time and money to make kiting sustainable at Matheson Hammock. Last edited by RickI; 06-01-2010 at 08:01 AM.